Roman Shades make a beautiful and bold design statement in most any room. Choose from decorative patterns and exquisite colors that can coordinate with your home decor or commercial space. You can select roman shades made of designer fabrics with consistent folds or no folds. 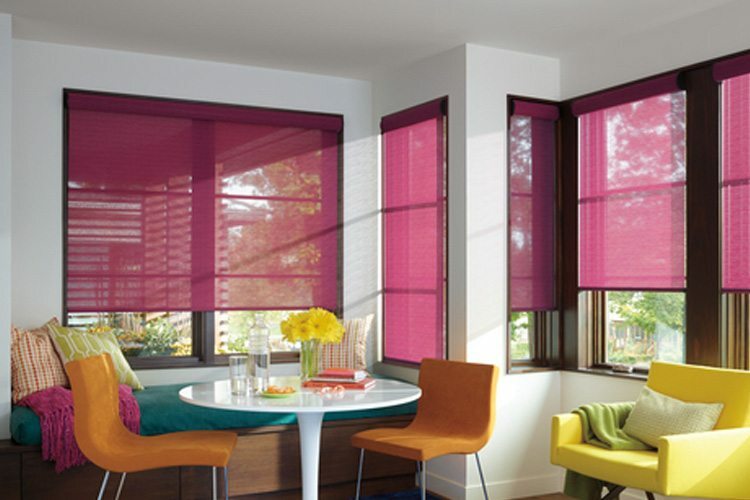 The cords can be exposed behind the shade so you can enjoy an uncluttered look on your windows. 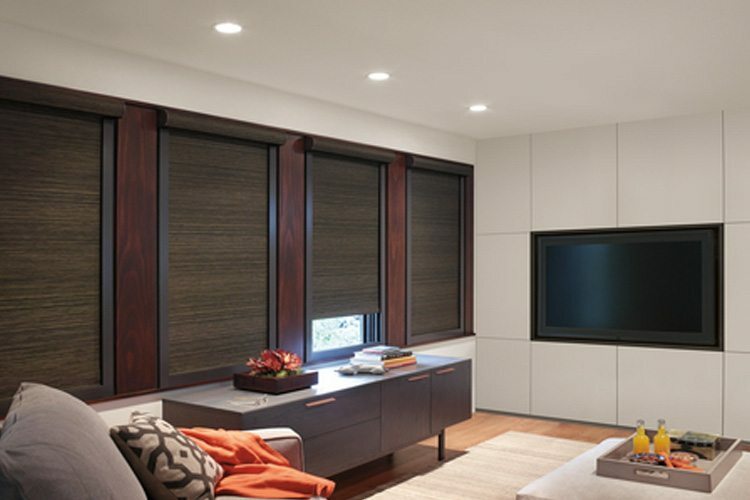 Roman shades are available with cordless operation and motorization. No matter what your decorating style, we have a roman shade that will appeal to your lifestyle. 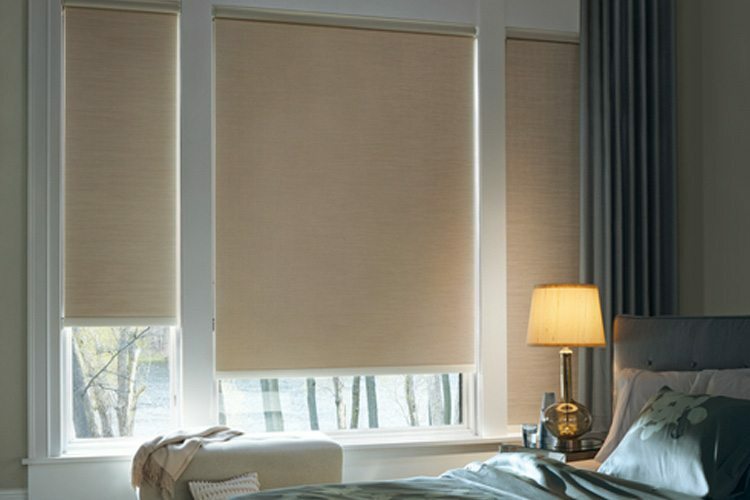 Modern roman shades and traditional roman shades come in a variety of fabrics. Choose from cotton, silk, linen and more. Dress up your roman shades with decorative trims, tapes and valances for a complete window treatment look. 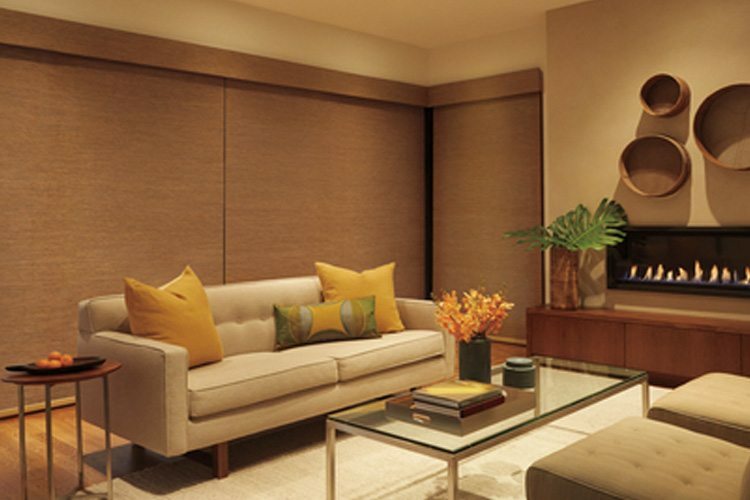 Your room can go from ordinary to extraordinary by selecting a sophisticated fabric. 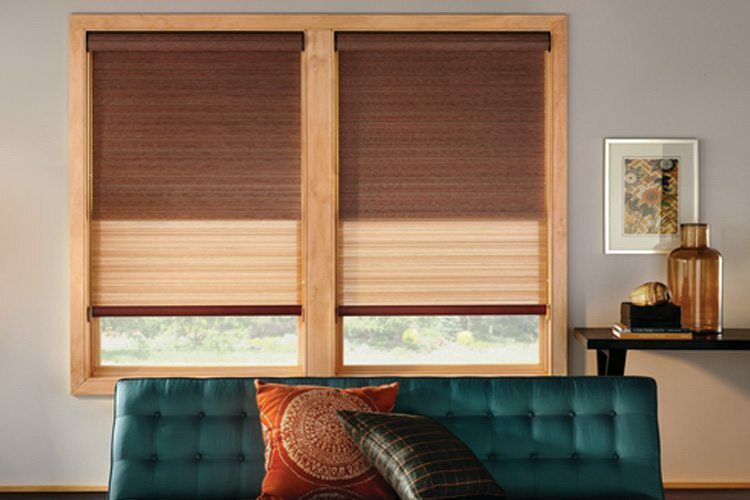 Ask about Design Studio™ Roman Shades from Hunter Douglas.